A big piece of watermelon is a delicious and refreshing treat on a hot day! I love watermelon and can easily eat a quarter of one in one sitting! Watermelons are also packed with nutrition. Yes, watermelon is 92% water but that other 8% is filled with good nutrition and amazing health benefits; so many benefits that we consider it a powerfood. 1. Watermelon may help reduce cancer risk. Watermelon is the lycopene leader of fresh fruits and vegetables. The lycopene king tomato has been replaced with deep red varieties of watermelon. The red pigment is also found in tomatoes, watermelon, apricots, pink grapefruit, and papaya and is an important antioxidant. It has been found to be helpful in reducing the risk of prostate, breast, and endometrial cancers, as well as lung and colon cancer according to research. Lycopene’s ability to neutralize singlet oxygen radicals was better than the antioxidant abilities of beta-carotene and vitamin E. – From Archives of Biochemistry and Biophysics in 1989. 2. 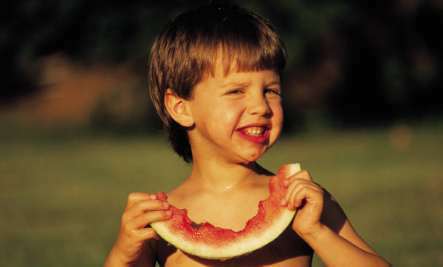 Watermelon is a natural diuretic and was a homeopathic treatment for kidney patients before dialysis became widespread. 3. Watermelon may have Viagra-like effect: they contain citrulline which can trigger production of a compound in the body that helps relax the body’s blood vessels, in a way similar to what happens when a man takes Viagra according to scientists in Texas. 5. Helps muscle and nerve function, being a very good source of potassium. Can ease inflammation that contributes to conditions like asthma, atherosclerosis, diabetes, colon cancer, and arthritis. 6. Watermelon is a certified heart-healthy food by the American Heart Association. I am thrilled to know all the benefits to this favourite summer fruit of mine. Watermelon is often all I have for breakfast and it always amazes me that I feel full for hours afterward. It is also true that watermelon is high in sugar with 10 grams per 1 cup of watermelon but think about it. What is a better choice a candy bar or a piece of watermelon with all its nutrition? Good source of potassium and magnesium. Small amounts of most of the B Vitamins. Trace amounts of Vitamin K and pantothenic acid. Lycopene with over 6888 mcg read about all the benefits of this below. Supplies 5% of the daily fibre. Only 45 calories per cup so it is an ideal diet food with its high in energy. Fat-free, well almost: 1 cup of diced watermelon has .23 grams of fat. Only .02 grams of saturated fat in 1 cup of diced watermelon. No cholesterol, caffeine or alcohol the list says which I find funny. Low sodium 3 mg in 1 cup of diced watermelon. There is even 1 gram of protein in 1 cup of diced watermelon. Did you know that some consider Watermelon a vegetable? It is related to the squash and pumpkin family and is grown as a vegetable crop, using vegetable production systems. In China, watermelon is stir-fried, stewed and often pickled and used as a vegetable. Well, whatever! It is a fruit as far as I am concerned. So let’s have a little watermelon fun. The first recorded watermelon harvest was 5,000 years ago and occurred in Egypt and they shared them with the rest of civilization in the 10th century. Watermelon is a popular gift to bring a host in China and Japan. Over 1,200 varieties of watermelon are grown worldwide. About 200-300 varieties are grown in the U.S. and Mexico. This fruit was held in such regard that it was placed in the tombs of many Egyptian kings. The word watermelon first appeared in the English dictionary in 1615. 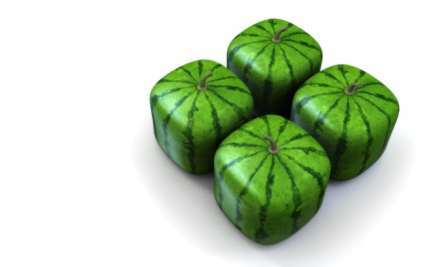 Watermelons come in many shapes and sizes; the newest shape is a square watermelon. The Japanese created them to save space; the watermelon fits easily fit in the fridge as they are of exact dimensions of the Japanese refrigerators allowing a full grown watermelon to fit precisely in fridge shelve. After a watermelon was thrown at Roman Governor Demosthenes he placed the watermelon on his head and thanked the thrower for giving him a helmet to wear as he fought Philip of Macedonia. U.S. ranks fourth in the world, growing watermelons with 44 states growing it, mostly in Florida, Texas, California, Georgia, and Arizona. In 1999 over 4 billion pounds of watermelon were produced in the US. A giant watermelon weighing a watery 268.8 pounds was grown on September 03, 2005 Lloyd Bright. They are not one of the dirty dozen (the most heavily sprayed produce). They are one of the fifteen most clean non-organic fruits and vegetables. Decide what size of watermelon you want as there are many different sizes. Watermelons can weigh anywhere from a few pounds to ninety pounds. Do you want a seedless watermelon? Most seedless watermelons are often not organic so that may be something for you to consider. Choose a melon that is medium to light green but not yellowing, with several spots of light green on it. Make sure it feels heavy for its size. Check out the bottom of the watermelon; this should have a creamy yellow spot which is where the watermelon sat on the ground while ripening. If this spot is white or green, it may not be ripe as it was picked too soon. The melon should have a faint aroma and the end should be soft. Tap the watermelon with the palm of your hand lightly several times. What you hear should be a somewhat hollow echo. This indicates the fruit is likely fresh and its flesh is very hard, which when they taste best. If the sound is a thunk as though it solid, that’s no good and too hollow a sound is also not good. You just have to do the trail and error thing till you learn which watermelons are the best. Good luck finding the sweetest juiciest watermelon. The best watermelons will, of course, be the ones you grow yourself. Learn how at How to Grow Watermelons. In this video below, Diana gives a quick demonstration of how to pick and cut a watermelon. We now have our watermelon, so now what? Always wash the exterior of the melon before slicing to remove any bacteria on the surface. After they have been cut store in the fridge. Watermelons retain more nutritional value after cut and stored in the fridge as most other produce. Before eating a piece that has been in the fridge, pull it out long enough for it to go to room temperature. This maximizes its phytonutrient capacity. 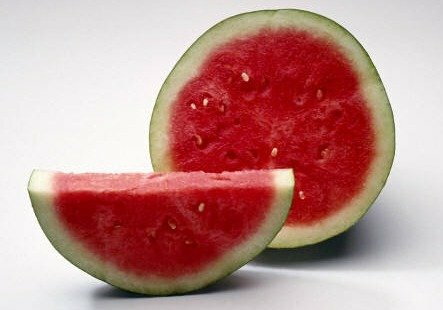 Store uncut whole watermelons stored at 70 degrees Fahrenheit: Watermelon stored at 70 F gained up to 40 percent more lycopene and 50% to 139% extra beta-carotene, when compared to freshly picked watermelon, were the findings in a study by USDA’s South Central Agricultural Research Laboratory in Lane, Oklahoma. Watermelons continue to produce nutrients after they are picked; the chilling slows this process. Refrigerated watermelon starts to decay after a week. Watermelons last from 14 to 21 days at 13 degrees Celsius (55 F) after harvest. Eat watermelon on its own. Melons only take 15 – 30 minutes to digest; they do not combine with any other food, always eat alone and wait 30 minutes before eating something else. Eat room temperature watermelon as it is much easier on the stomach. My favourite way is to slice it and cut it into cubes and eat it from a big bowl. 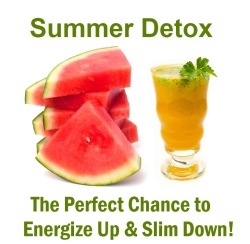 Watermelon juice is so easy and a wonderful cooling alkalizing beverage and of course as we know filled with nutrients. Find just how easy it is to make here; watermelon juice. 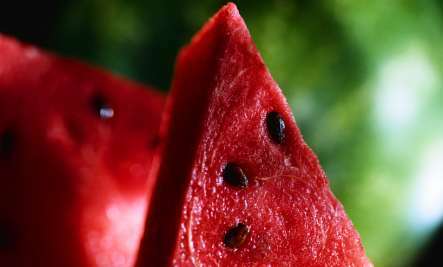 Yes, you can eat Watermelon Rinds: We usually throw out the hard green rind of the juicy watermelon, but did you know that the watermelon rind has nutritional and remedy benefits? This wasted food can do good things for your body. Also, using it will cut down on your garbage helping the environment. Read more about the Watermelon Rind. Watermelon popsicles are great for children and us adults too. Learn how to make watermelon popsicles. Some people may experience watermelon allergy symptoms from mild to severe hives, facial swelling, diarrhea or anaphylaxis. Diabetics: The American Diabetes Association says you may eat watermelon as a fruit selection provided you are following the guidance of your health care provider. Consuming large amounts of lycopene-rich foods (tomatoes and watermelon) may cause gastrointestinal disturbances such as nausea, vomiting, diarrhea, indigestion and bloating. Large quantities of foods containing potassium, such as watermelon, may adversely affect people diagnosed with hyperkalemia, or too much potassium in their blood. Eating lots of watermelon will most likely in frequent need to urinate. When I was disabled for ten years with a digestive system that was only partly functioning and could eat only 12 foods, watermelon was a life saver for me. I would eat half of a very big watermelon every day. I am very thankful for watermelons for helping me on my journey back to health. Thank you Diana for all the useful information!!! Thanks again for this great article!!!!! You are welcome Silvia! As long as you eat a full range of foods and do not need to lose weight eating watermelon will simply help with cleansing which everyone needs to do regardless of weight. In fact cleansing can help to gain weight if that is what the body requires. Our body has an intelligence and will do what is needed. Thanks for lecture,i like watermelon very well but i want to ask,can watermelon help to reduce the action of chronic disease in the body? 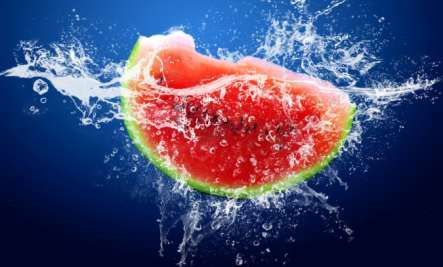 Can watermelon help heptitis patient? Hepatitis has a life span of its own as I know from having had it a long time ago. Best to talk to a medical professional for help. Thanks, great info. about the wonderful food. Watermelon is thought to have originated in the Kalahari Desert of Africa. 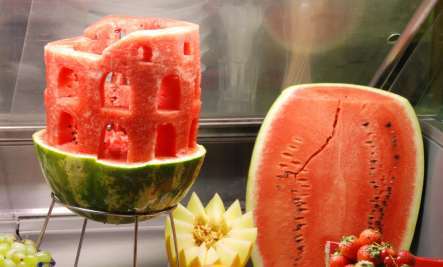 The first recorded watermelon harvest occurred nearly 5,000 years ago in Egypt and is depicted in Egyptian hieroglyphics on walls of their ancient buildings. Watermelons were often placed in the burial tombs of kings to nourish them in the afterlife. From there, watermelons spread throughout countries along the Mediterranean Sea by way of merchant ships. By the 10th century, watermelon found its way to China, which is now the world’s number one producer of watermelons. Our vague friend, the dictionary, defines vegetable as “anything made or obtained from plants.” Basically, that means all fruits are also vegetables. So in the grand scheme of things, vegetables and fruits continue to be amongst the healthiest of foods. Wow David. Thanks for all that great info. I also never met a water I didn’t like! – although some are not as red and tasty as I would prefer. I am interested in foods that lower A1C’S and blood sugers. Hi , i love watermelon so much, i eat one of those big trays of watermelon that they sell at HEB a day, but then i feel guilty. Im 39 i was diagnosed with diabetes when i was 30. I also have diabetes insipidus and was just diagnosed with neuropathy. I need to know if it is ok to eat all that watermelon. Iv heard yes and no. Than’ you for all the information you provided about WM. Can WM causes stomach pain’ disco fort, and diarhea If taken after food ? Very informative article. Watermelon has been my favorite fruit forever. I had no idea that it had so many health benefits! I love the watermelon designs as well, those are very creative. I love watermelon, however …when I eat about a cup and a half daily for breakfast, I get mild to severe burning stomach ache for 15-20 minutes. I am on a detox diet and wonder if this is part of the process? Watermelon rind pickles are so good and good for you! Why throw away so much of the melon?